Before Erin Bradford was a mother to her 1-year-old, she was a mother to two spoiled dogs.Like any good pet parent, she knew these lucky mutts would eventually get into something that would result in a trip to the vet.”I knew I needed a backup plan because I wouldn’t be able to afford it if someone thing happened to them. That’s where pet insurance came in,” said Bradford.Bradford started paying $15 a month to cover her first dog, then $30 a month when she got a second. As they got older, she said the pet insurance company increased the price because they’re more likely to need vet care. These days, she pays $50 a month in pet insurance for both. She’s had the insurance for six years.”I take my dog to the vet for everything. 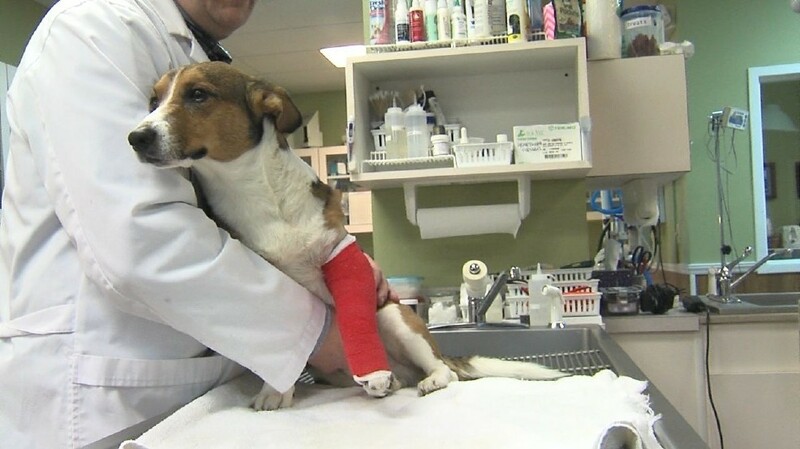 They’ve been to the vet for a tick bite, they’ve seen a vet for a broken toe nail,” said Bradford.Each time Bradford takes one of her dogs to the vet, she still has to pay for the procedure, but the pet insurance then reimburses her after filing a claim. This is how most pet insurance companies operate.”[Pet insurance] provides the things that are unexpected. Accidents and illnesses,” said Rob Jackson, CEO/Co-founder of Healthy Paws Pet Insurance.Jackson’s company is based out of Washington State. Healthy Paws has 150,000 clients, and a small amount of those are in Arkansas.”[It’s for] the things you can’t budget for. That can be anything from a bee sting, to a rattlesnake, all the way up to cancer,” said Jackson.Most pet insurance policies don’t cover preexisting conditions, annual checkups, or spay and neuter costs. Some policies do cover those things, but they tend to be more expensive.At Healthy Paws, a monthly rate is formulated by five factors: age, breed, yearly deductible, reimbursement level, and zip code.”There is actually a difference of veterinary cost probably in Arkansas vs. New York City,” said Rob Jackson.The pet owner of a black pug in Little Rock was glad to have pet insurance when her dog ate trash, resulting in a $4,000 surgery. The whole procedure was covered after she paid $25 a month and a $500 deductible.At the Interstate Animal Clinic, veterinarian Dr. Dean Hunter says 4 percent of his clients use pet insurance.”The clients that we’ve had that have had frustration were when the company was slow about reimbursement,” said Dr. Hunter.Dr. Hunter said health care for pets will always be more than you want to pay. He said an alternative might be putting money away in a saving account every month.